Umbral mail, ‘shadow armor’, should probably be a thing. I picture a suit of light mail (chain shirt perhaps?) worn by a rogue who practiced greater and greater acts of stealth. It is a bit like Gyre’s cunning gambeson, so I should look for some ways to differentiate it. (grade 2) hiding II: +4 bonus to Hide (visual Stealth) checks when appropriate (both hiding the wielder and hiding tiny or smaller objects — including especially thieves’ tools — in the gambeson). First, the armor is good at making the character sneaky, so the stealthy quality will probably be pretty high. The shadow (+3,750 gp/+2 quality, +5 to Stealth checks), improved shadow (+15,000 gp/+4 quality, +10 to Stealth checks), and greater shadow (+33,750 gp/+5 quality, +15 to Stealth checks) are all appropriate, but are better served as skill-based qualities. Second, some measure of Dexterity enhancement is appropriate… but I suspect not ultimately valuable as far as Armor Class is concerned because a chain shirt has a maximum Dexterity bonus of +4 to AC. I’ll likely give a small bonus and stop there. Third, the creeping armor quality (+5,000 gp, listed in the “+2 armor special ability table”, means the armor’s armor check penalty doesn’t apply to Stealth checks… we’re going to want this, and because it’s with the +2 armor qualities it’ll be a grade 4 quality). 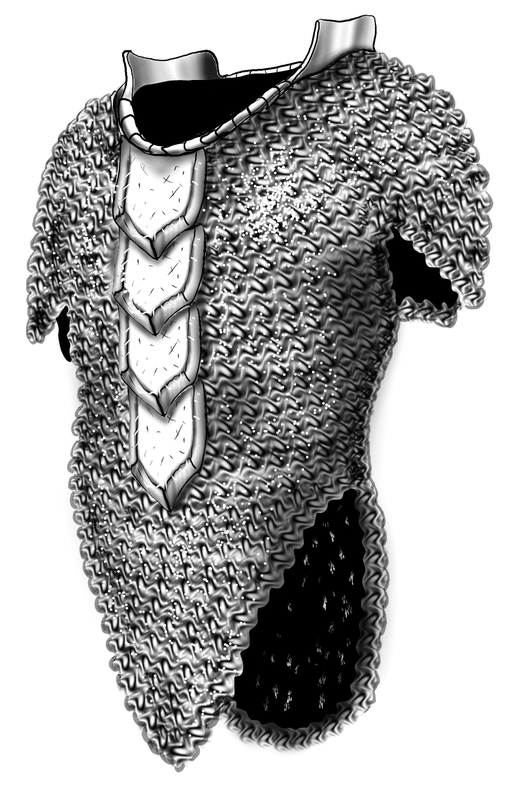 However, on a chain shirt (armor check penalty -2) there’s not nearly as much benefit as on heavier armor. Fourth, the glamered quality (+2,700 gp, listed in the “+2 armor special qualities”… but is very much toward the lower end, I’ll consider it as a grade 3 quality) is appropriate. I might want to consider some other perks. Of them all, lightweight seems the most appropriate. glamered (+2 -> grade 3 quality, so the armor doesn’t look like armor), might or might not use. creeping (+2 -> grade 4 quality, armor check penalty no longer applies to Stealth checks), probably won’t use. Highest priority goes to stealthy, I’ll consider a Dexterity enhancement as available, and the spell casting is a major quality to this item. I prefer that qualities do not get weaker from grade to grade, so I’ll want to assign them carefully. I added the stanching quality at the last minute. I needed a grade 2 power and that was the only +1 armor quality that seemed at all a reasonable fit. I could have gone with another skill-oriented quality (slippery, bonus to Escape Artist checks, came to mind) or another quality, but nothing really fit. I stumbled on a limitation here in that just as you will always have at least one grade 1 quality, eventually you will have either a grade 2 quality or two more grade 1 qualities. Since the armor already has a maximum Dexterity bonus with regard to Armor Class I chose to improve the armor enhancement bonus rather than the Dexterity bonus. In a case like this I might consider softening the rule in practice. Replacing the stanching at grade 17 with dexterity II (+4 enhancement bonus to Dexterity) would not break anything… but as an example, I suppose I should stick to what I’m presenting an example of. I am coming to suspect that the spell casting quality works best in items that do not grow over time. That is, if the armor above were presented in its final form, or even one of its intermediate forms (lightweight stealthy I spellcasting III chain shirt as a grade 5 item) I’d be just fine with it. Presented in table form as above, though, I find it unpleasant to look upon.